22 September 2017 by MilitaryByOwner Advertising Inc. The chances are pretty high that if your family has been in the military for even a few years, you’ve been a resident of or lived near Fort Hood, especially if you’re serving in the Army. The base is the military’s largest active duty armored post and home to the 1st Cavalry Division. You’ve likely heard about the gorgeous hill and lake region of Central Texas. Well, Fort Hood sits squarely in the region, as does the major off base cities of Killeen, Harker Heights, and Copperas Cove. Nolanville, Round Rock, Temple, Belton, and Georgetown are the other local cities nearby. Fort Hood offers nearly 7,000 units of military housing on base. Of course, there is a waiting list, but the time frame varies widely between the number of bedrooms needed and military rank. If military housing isn’t your preference, MilitaryByOwner always has for sale or rent listings in relation to all of the surrounding cities of Fort Hood. Families with school aged kids benefit from knowing there are eight independent school systems (one for each city), but the Killeen Independent School District runs the day-to-day management of the seven elementary and two middle schools on Fort Hood. Eager to share their experiences and pass on real time information to other mil-families, Military Town Advisor reviewers share their opinions about popular neighborhoods: Skipcha Mountain Estates, Knights Ridge, and Evergreen Estates in Harker Heights, Northcliffe and Oak View are favorites in Belton, and Killeen families are happy living in Glenwood and Spanish Oaks. One of the best conveniences of living near a huge military base is the access to many recreation and entertainment outlets that smaller bases just don’t have. The Life and Leisure page of Fort Hood’s website is packed with opportunities. Horseback riding, camping, and skating are just the beginning of the long list of activities to try. Even though shopping isn’t technically an amenity, it makes military families very happy to have a lot of choices, and Fort Hood Exchanges have more than a few. Recently updated, Clear Creek Main Store offers plenty beyond the typical pizza and sub outlets in the food court. Who knew Denny’s restaurants were located on military bases? Several more Exchange Expresses exist, and there are two commissaries available. Just an hour away from Fort Hood, Austin and Waco are both worth your time for exploration. Austin real estate continues to boom, as evidenced by the fact new residents move there every day to enjoy the music, food, and culture scene that the proud city continually boasts about. Waco is growing in popularity too, even if it is just to shop at the Gaines’ ever expanding retail outlets and to stay at their bed and breakfast. But college towns also have an extra special vibe because of the sports and entertainment factor, and Waco is home to Baylor University. 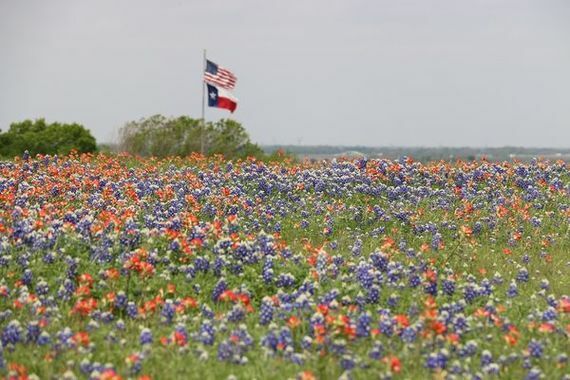 If Fort Hood is your very first introduction to the state of Texas, then there’s more to see beyond Austin and Waco. Put your tourist walking shoes on and explore San Antonio, Dallas, and Houston. They’re all major cities within a day’s drive and have plenty of history and unique attractions to see. Sometimes, you just need to break away from your own little part of the world and try a new adventure. Oklahoma, anyone? It’s not too far away! Don’t forget to take advantage of military accommodations for inexpensive lodging. Because Fort Hood is a potential destination for so many military families, Military Town Advisor is a must-read resource to review and contribute to before making the Lone Star State your next PCS home.